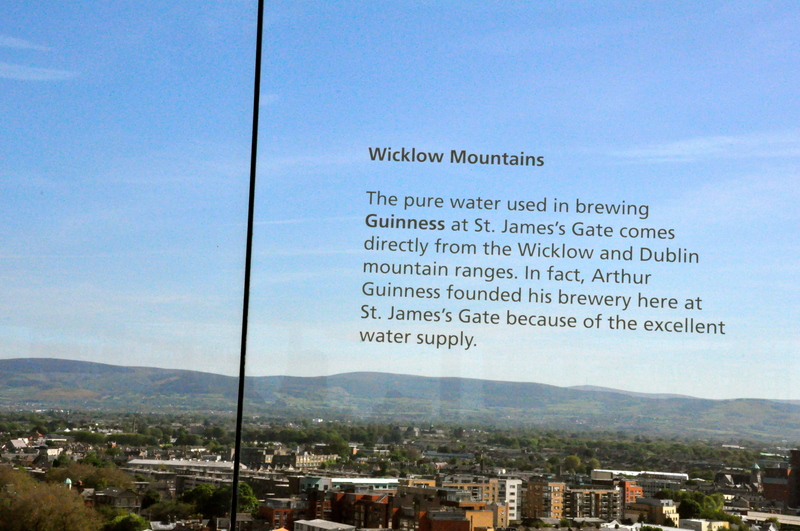 A must for us in Dublin was the Guinness Storehouse. 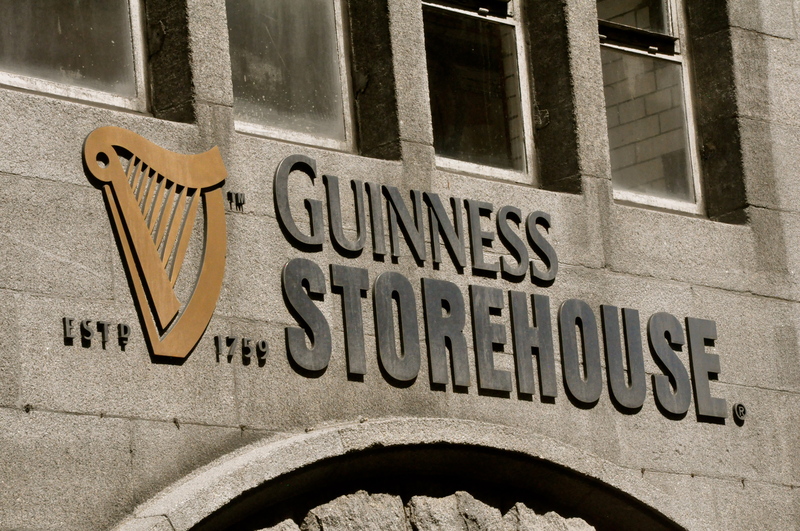 -When Arthur Guinness took out the lease, it was for 9000 years. Now that is thinking ahead. 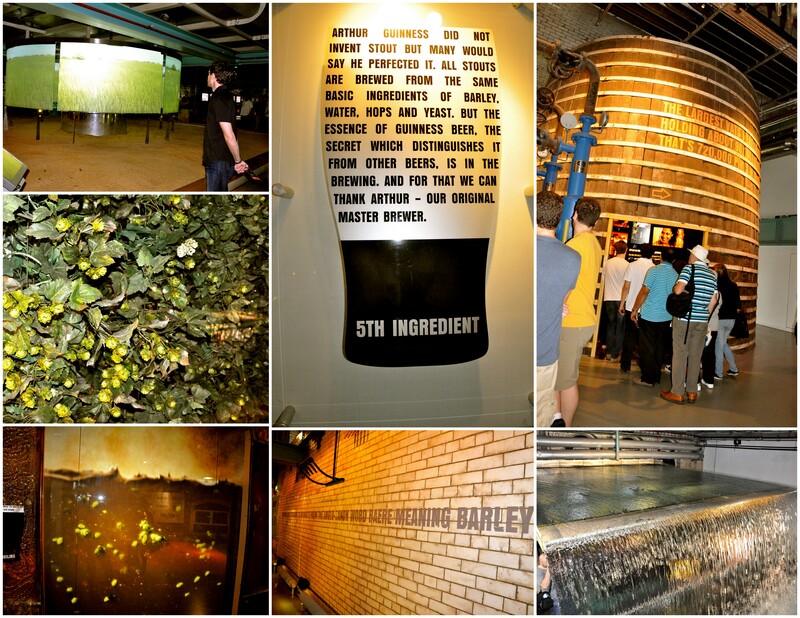 Every beer tour we’ve done has included a visual tour about the ingredients they use – barley, hops, water and yeast. 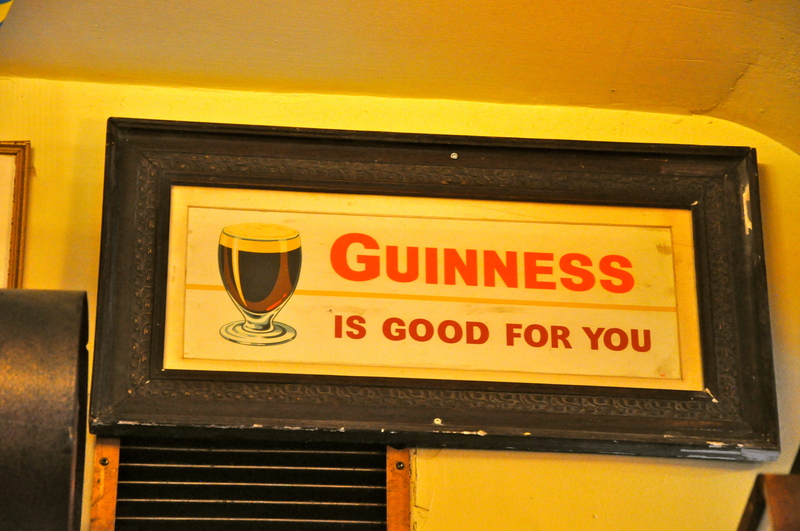 Guinness did as well, but claimed a 5th ingredient too. Also every beer tour we’ve done included the process. 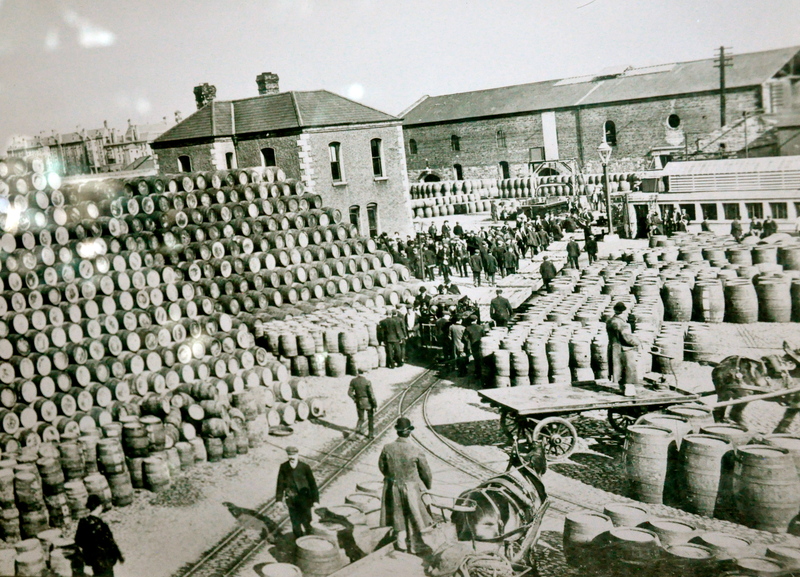 In going to Jameson the day after, we learned making whiskey is almost the same. 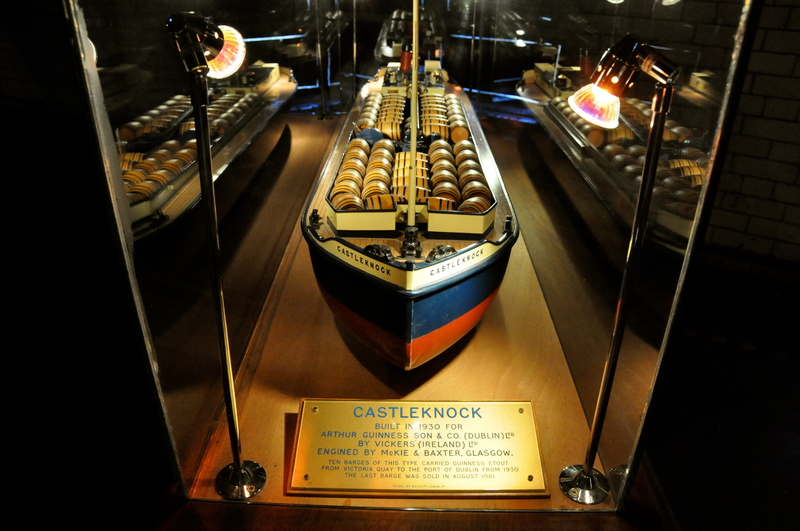 How’d you like to be the captain of this boat? 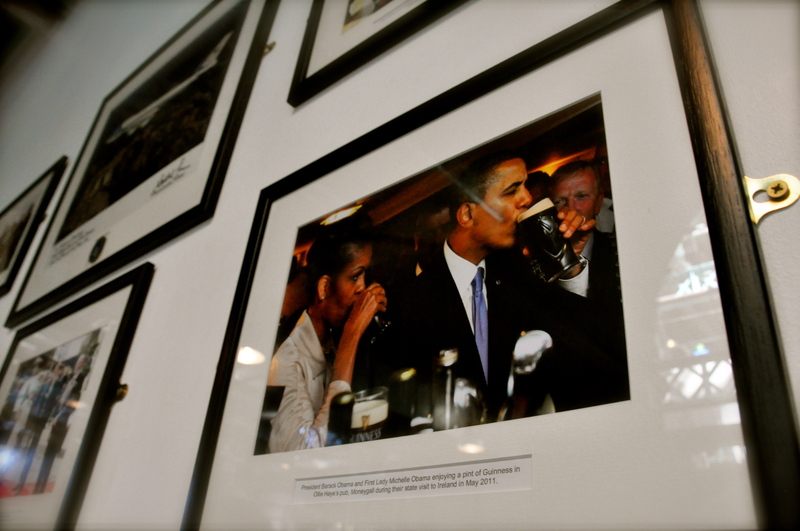 The Obamas enjoy their Guinness from time to time. 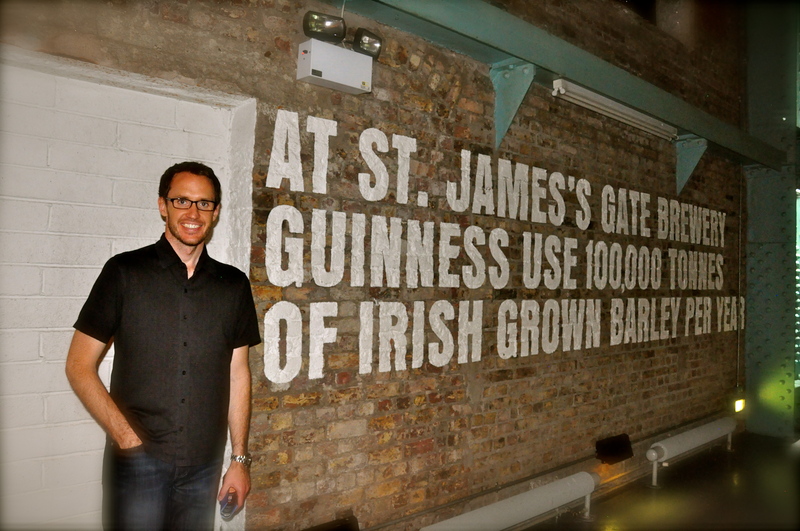 You’ll be happy to know that we graduated from Guinness Academy. We even got diplomas. 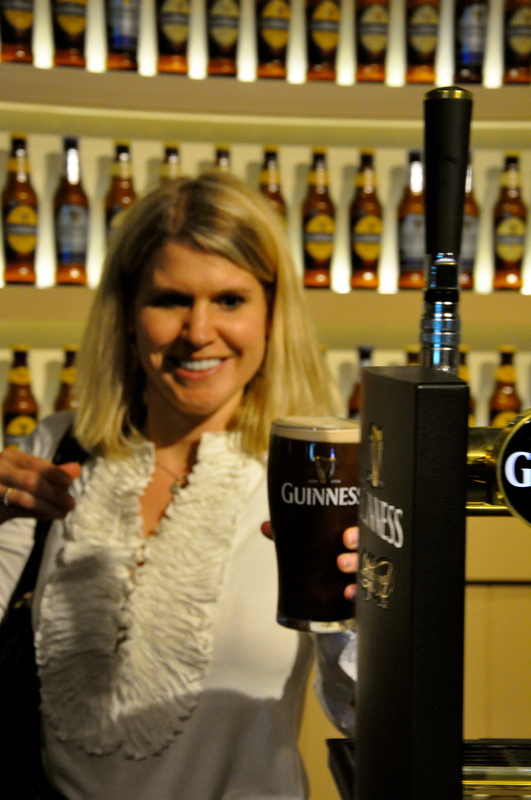 This was the most fun part of the tour….learning how to pour a Guinness. 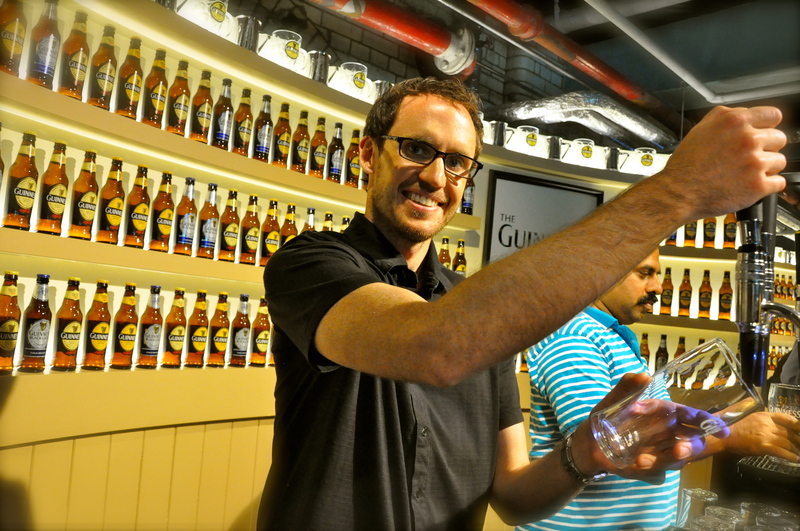 Now, at Heineken, you could do this with water and a tap, but at Guinness they really let you do it. 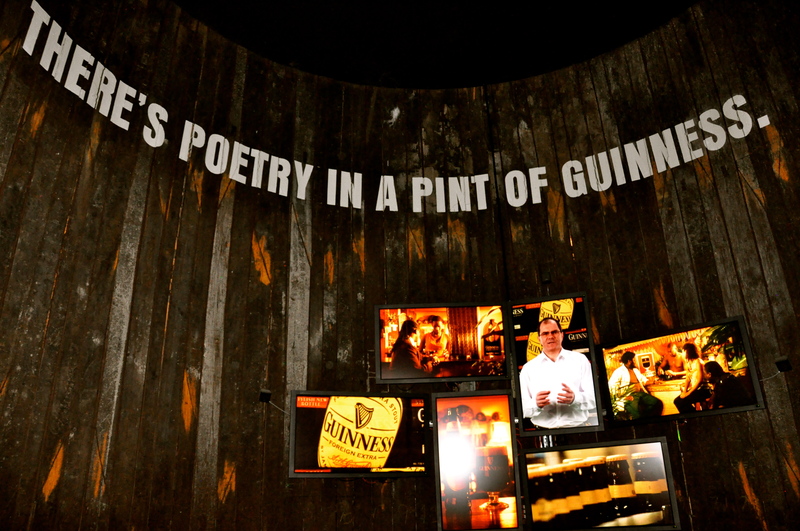 And pouring a Guinness is more involved than you would think! 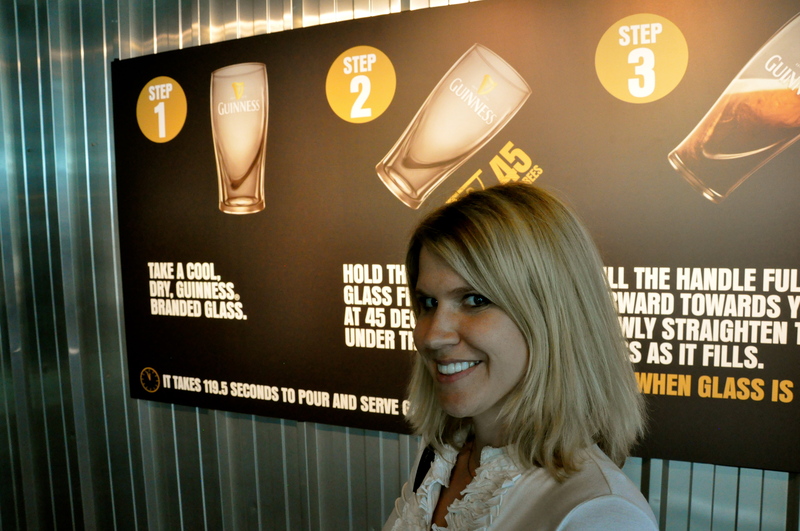 First you must inspect the Guinness branded glass to make sure it is clean and absent of lipstick. Being a marketing person, I appreciated the branding mention. Next you tilt it and pull the tap toward you. 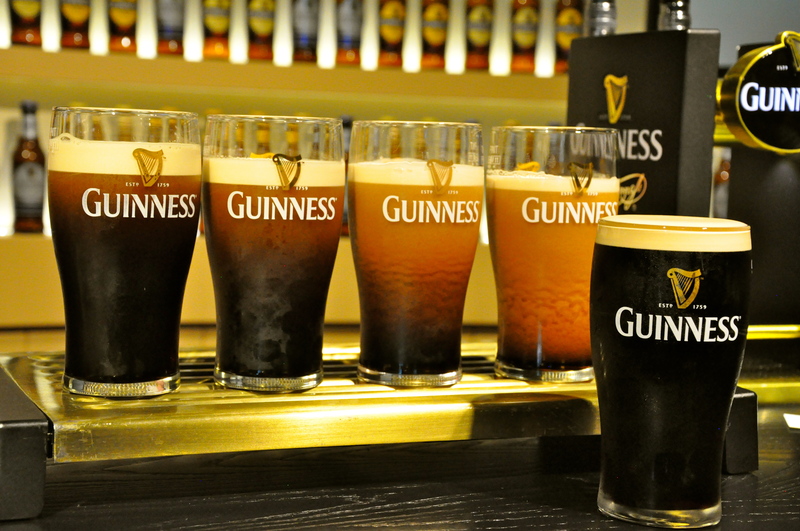 You fill it up to the Guinness logo then slowly tilt the glass upward and stop the tap. You must let it rest. Notice how the lighter ones have just been poured and the darker have rested a bit? That is due to the special tap and helps accentuate the flavor. Once dark, then, you top it off with a slow pour by pushing the tap backwards. Then you proudly serve it. Good things come to those who wait. You can order by the glass if you can’t drink a whole pint. 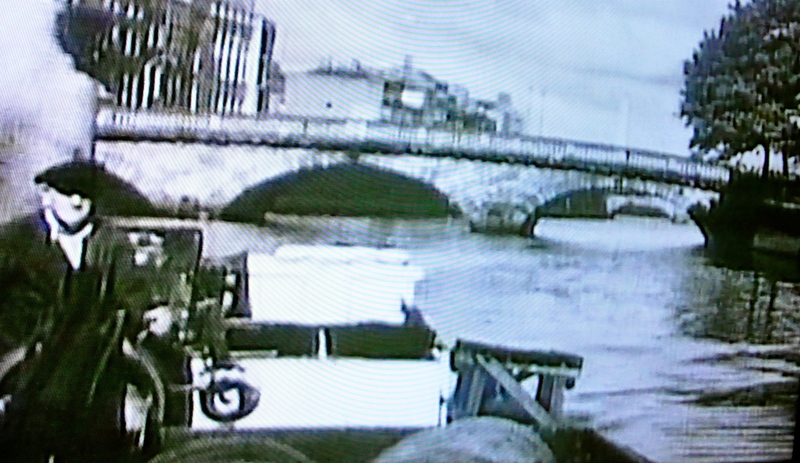 I did this when we visited all the pubs in Dublin. It allowed me to keep up with Gabe “glass for glass”. 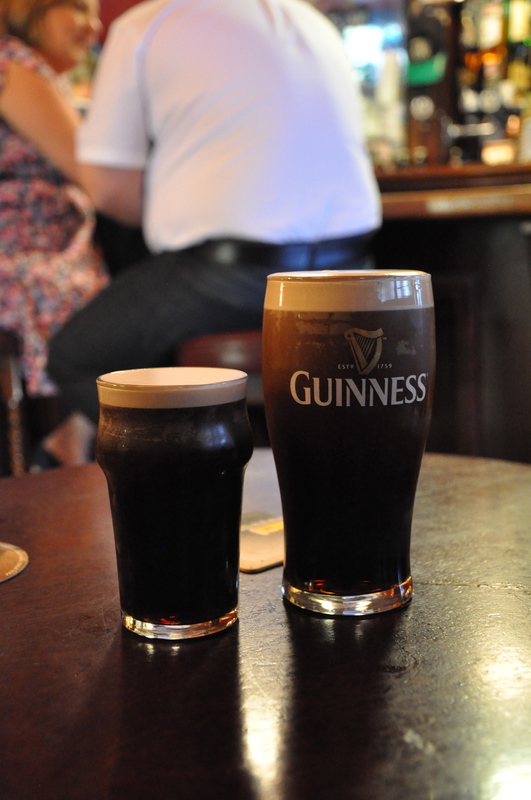 At Stag’s head, they even had teeny branded Guinness glasses. 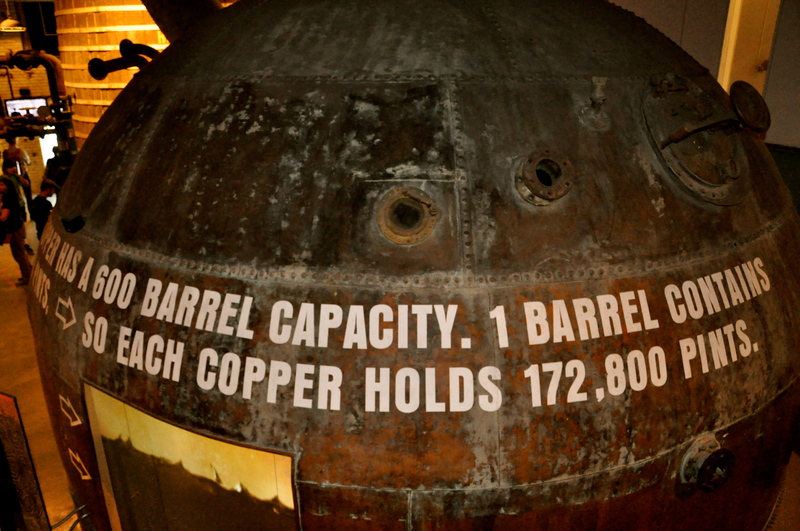 This entry was posted in Food, Wine & Beer, Tours, Museums & Exhibits, Travel: Europe. Bookmark the permalink.